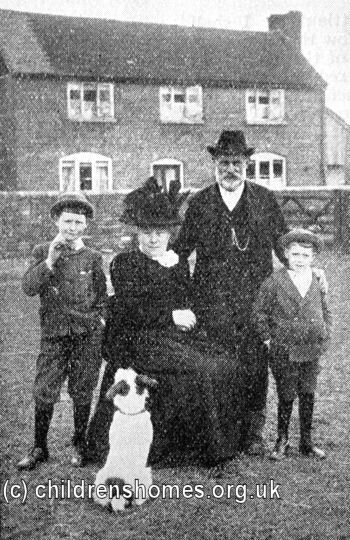 Fostering, or boarding-out as it was often known, dates back to at least the eighteenth century, and was much practised in Scotland. It was also gradually adopted from the 1870s onwards by Poor Law Unions in England and Wales. The Waifs and Strays Society's emphasis on placing children in a family environment made fostering an attractive option. In June 1883, the Society fostered its first child — Case No. 7, Jane Bellamy — with a family in Wiltshire. Over the next thirty years, around a quarter of the children in the Society's care were fostered each year. Wherever possible, homes were found in rural areas — as well as healthy surroundings, such locations were also less likely to receive unwelcome visits from a child's own parents. Children shall not, save in special cases, be boarded out with relations or with persons in receipt of relief out of the poor-rates. No child shall be boarded out in a house where sleeping accommodation is afforded to an adult lodger. In no case shall the weekly sum to be paid to the foster-parents for the maintenance of a child inclusive of lodging, clothing, school-pence and fees for medical attendance, exceed five shillings. 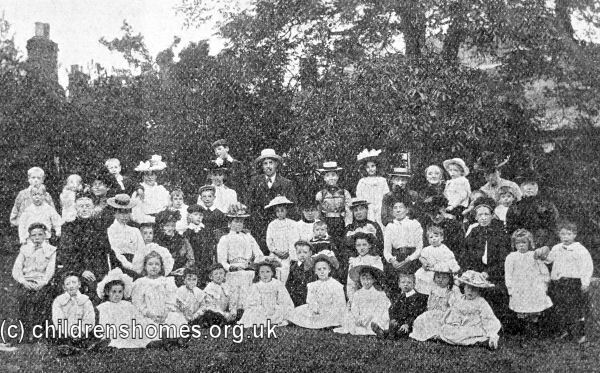 Boarded-out children and their foster parent occasionally had group outings such as the annual summer treat provided by Mrs and Mrs George Willis in their garden at Claremont, Leighton Buzzard. Despite supervision and regulations, cases of neglect or cruelty occasionally surfaced. In 1893, the Society appointed a professional Inspectress who toured the country making unannounced visits to the Society's homes.